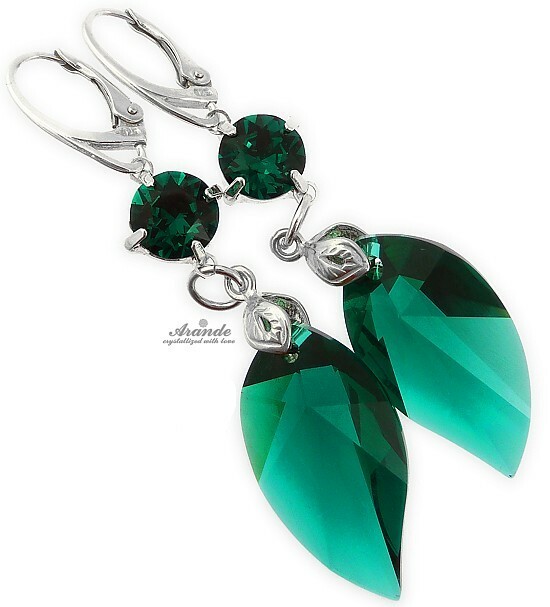 Original large crystal LEAVES in a beautiful vivid EMERALD color. 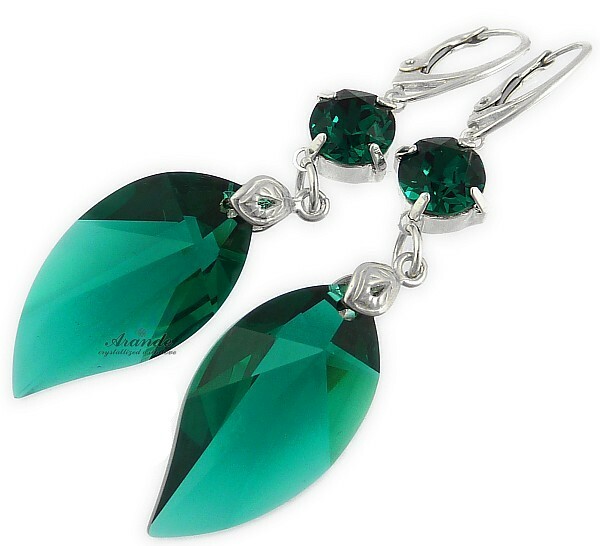 Added with smaller Emerald crystals enhancing the sparkling even more. 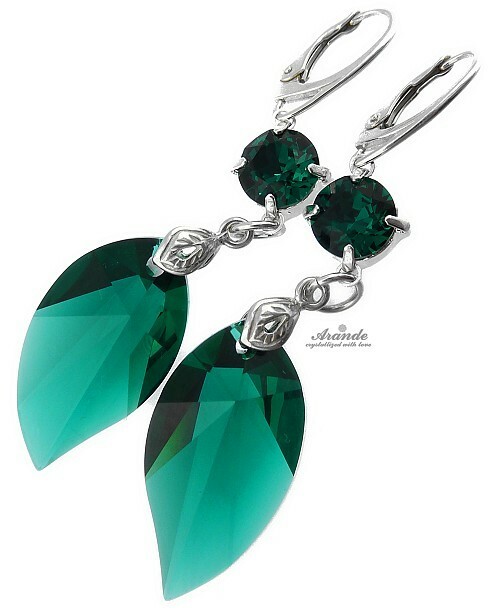 Outstanding jewellery for every occasion. Elegant sterling silver clasps and elements. The stamp for sterling silver 925 is marked on the clasp.